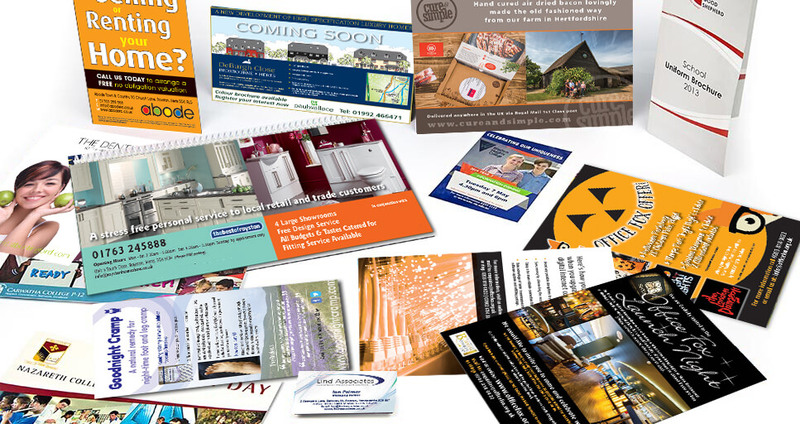 Your company brochure, stationery and other printed material is often the first thing people see of your business. So it is essential that you convey the right impression, first time. This is where high-quality printing comes into play. Excellent print shows that you are serious about business. It will give the customer confidence in your ability to provide an excellent service, and it will give you confidence that your business has the professional impact that it needs. Below is list of some of our products. Your company brochure, stationery or other printed material is usually the first thing people see of your company, so it’s essential that it conveys the right impression, first time – this is where a high-quality printing process such as litho printing comes into play. Good print gives your customers confidence in what you do. We also specialise in the production of large format images printed onto almost any material to unlimited size ie. exhibition graphics, banners and posters for example. 2 metres high with a choice of either 800mm or 1000mm widths. Designed to give maximum effect at a low price. Great for exhibitions! Using fade resistant inks that will keep their original colours for years, weather and tear proof. Printed onto very lightweight vinyl board which makes hanging easy. 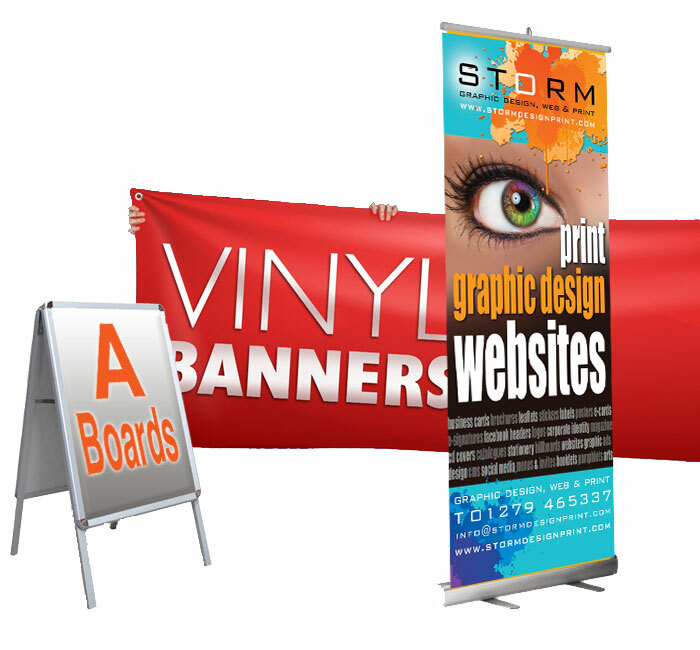 We can produce huge banners for internal and external use made with eyelets for securing. Many types of A Boards including pavement, forecourt and promotional signs. Useful information if you are sending us your artwork. File type – supplied as high resolution (press quality) 300dpi PDFs. Colour – supply as CMYK, not RGB. All images used must be converted to CMYK. RGB can cause incorrect colour reproduction. 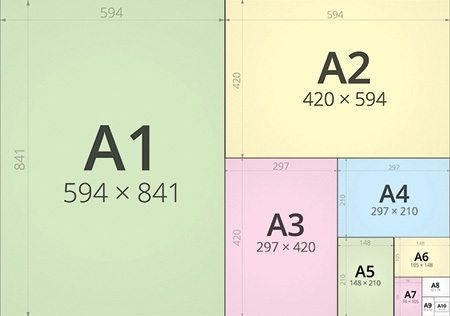 Layout – If supplying a PDF file with multiple pages like a brochure or booklet for example, please supply as SINGLE pages. Please do not supply as spreads (pages side by side). This does not apply to artwork being supplied in Adobe Indesign or Illustrator. 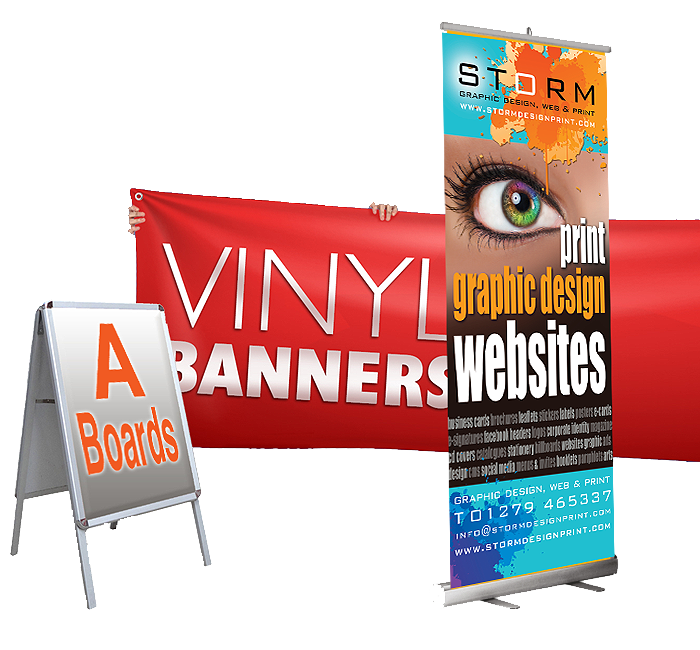 If you need any advice or guidance on providing artwork for your product, just contact us at Storm. These are the paper types that we recommend for individual jobs. Perfect for letterheads, typed reports, forms and envelopes. For flyers and brochures as it has a shine which enhances the ink colour. Like gloss coated but matt. Often used for a higher quality more subtle look. Made from re-used paper products, aimed at reducing environmental impact. It can be used for most documents including reports, memo paper and forms. Has the advantage of being used by both printer and pen, ideal for forms, letterheads and memo paper. Used in high quality stationery and documents, including certificates. If you have any questions at all or you need a quote, just contact us at Storm. We’ll be happy to help.